Product Quality – Versatility – Value. 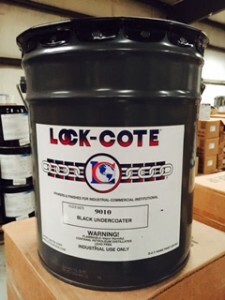 from our line of Lock-Cote coating products. Are the coatings you are currently using giving you the best value? Find out now! 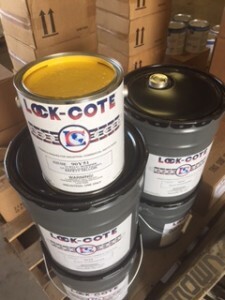 Let us know what you are using and your applications, and if we can duplicate it with any of our Lock-Cote Value products we’ll see if we can become your Value Supplier for Quality Coatings. Tough, rugged, abrasion resistant alkyd slip-resistant floor coatings for interior and exterior use on concrete, wood and metal surfaces where you have high foot traffic. Excellent slip-resistant coating for use on floors, steps and ramps in heavy foot traffic areas and for industrial maintenance where durability and washability are important. 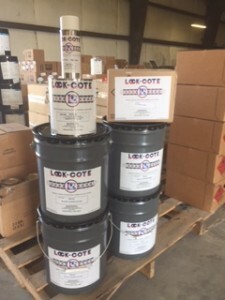 Used in: School cafeterias & locker rooms, food processing areas, boat decks, trailers, basements, sport facility shower areas, stairways, restaurant kitchen and entrance areas, and many other locations where slip-resistance is a must. 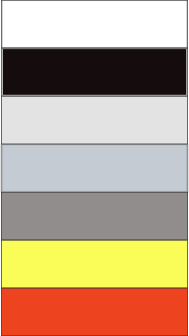 Note: colors above are approximate. Polyamide cured epoxies are excellent coatings for concrete floors. They are tough, flexible and resistant to most chemicals and solvents. These epoxy coatings are ideal for floors in chemical plants, laboratories, warehouses, shops and other industrial applications. They are easily applied by roller, brush or spray.